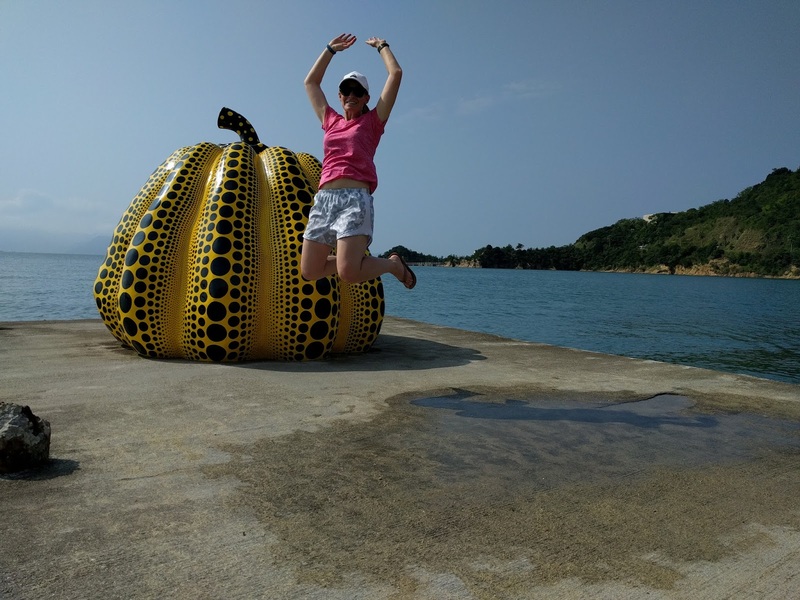 After a yummy breakfast, complete with fresh croissants and apricot preserves, we headed out to see all the outdoor sculptures. The one pictured at the top is made up of rocks from around the world with an American-made hot tub in the middle. For an hour each Saturday and Sunday, you can pay roughly $10 to soak in an aromatherapy bath and be part of the living exhibit. Unfortunately, we had other plans during the time, or I would have participated. Along the beach, I found a ton of sea glass, which I never seem to find, so I scooped it up to bring home. We also saw the beautiful crane on the bottom right as he searched out some breakfast. 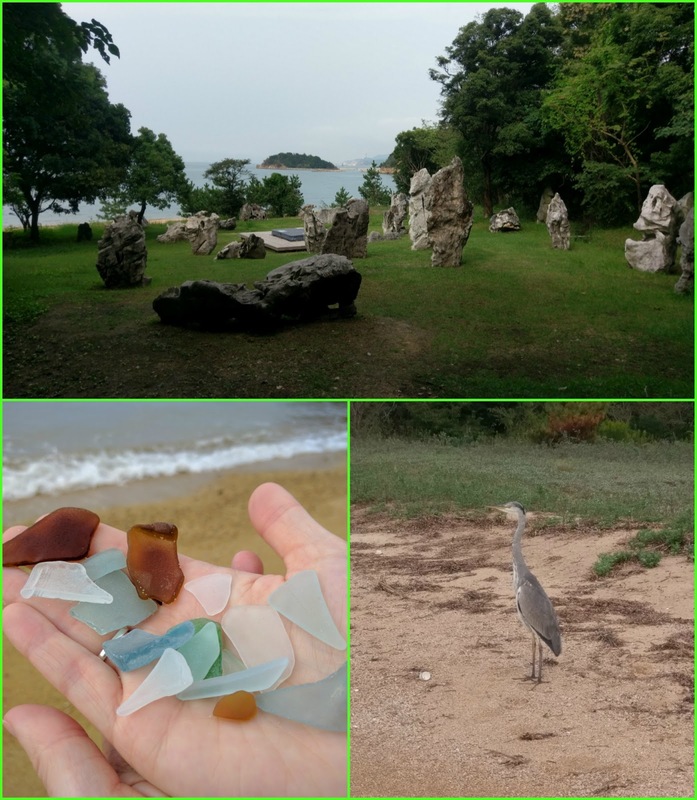 Cranes symbolize longevity and good luck, appropriate for our anniversary trip. 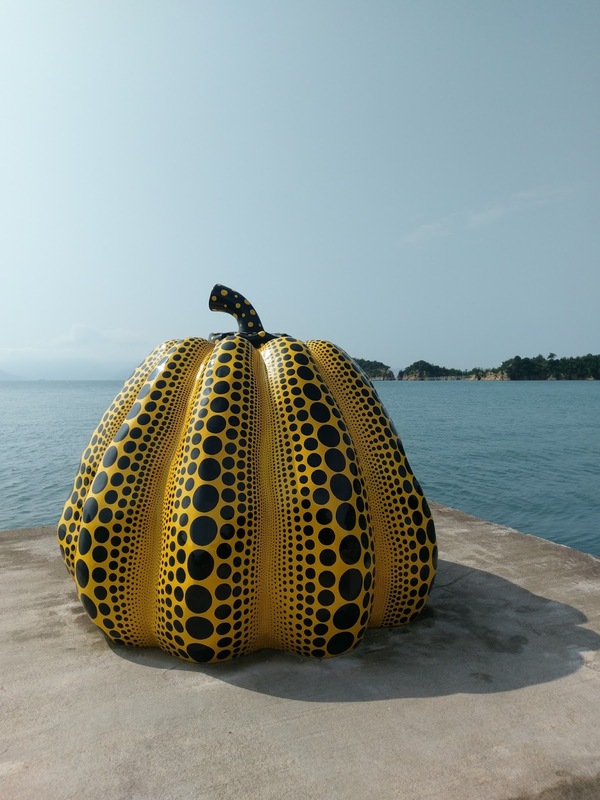 Yayoi Kusama's Yellow Pumpkin is iconic on the island. Just in case the pop art experience didn't wow you before, here's my jumping bean version. 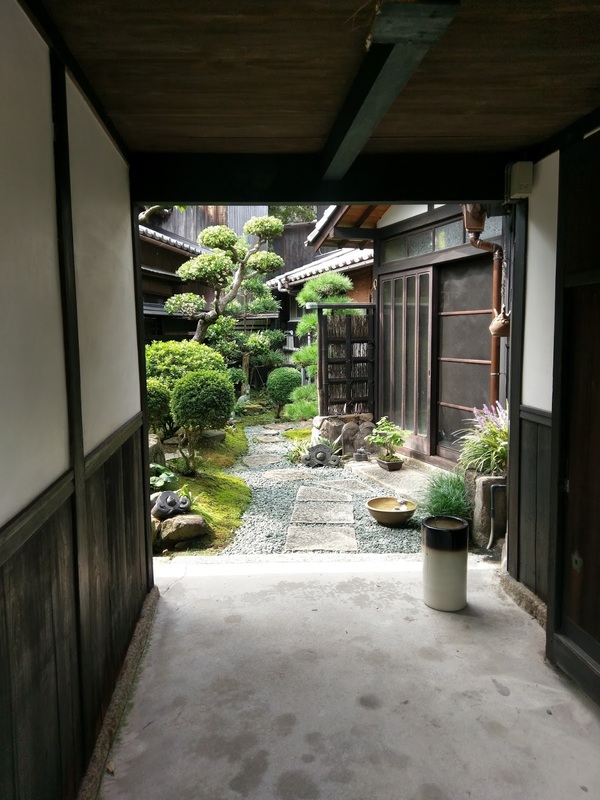 The "Art House Project" is a collection of six formerly vacant houses that were built more than 400 years ago and have now been renovated into works of art. The house at the top left was a former home and office for a dentist. It is now home to walls painted all shades of blue and a life-size white plastic Statue of Liberty. 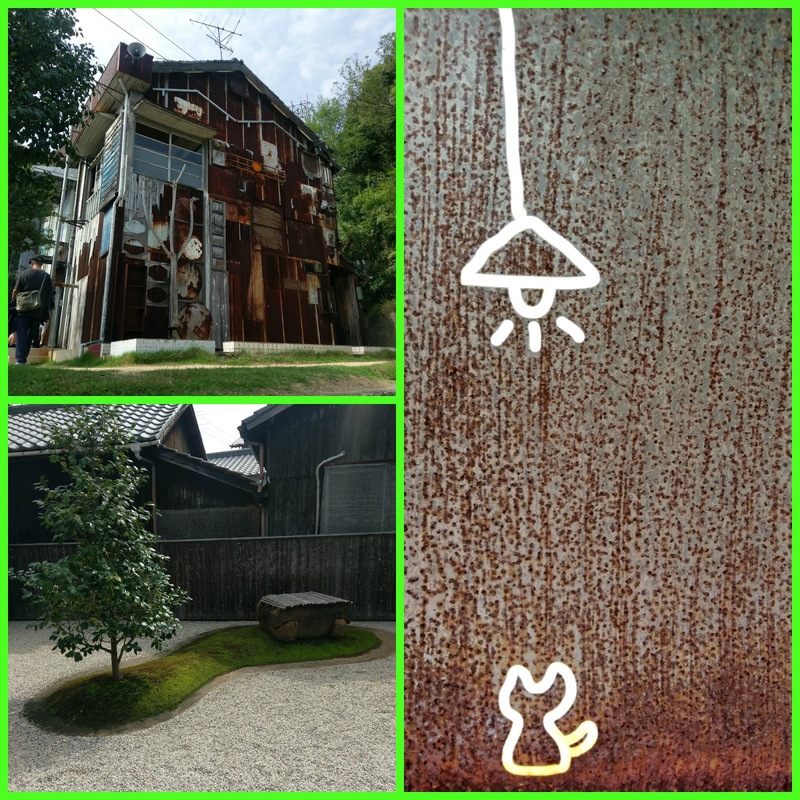 As you walk through the Honmura district neighborhood, you walk past little shops and businesses, along with little pieces of artwork fit into the surroundings - an insect made out of a can, a girl woven out of yarn and nails on a wall and this little cat under a light on a fencepost sign. As we walked through the narrow streets, you couldn't help but notice how amazing some people's yards were. Jealous! 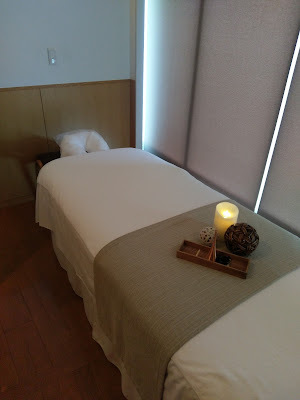 Since we've been walking a ton and carrying our Tortuga backpacks around, we treated ourselves to some massages at the Benesse House Spa. I had a traditional shiatsu massage and Brian had a deep tissue massage. Afterwards, we agreed that they were the best massages we'd ever had - which is saying a lot, at least for me (hi, Leslie!). 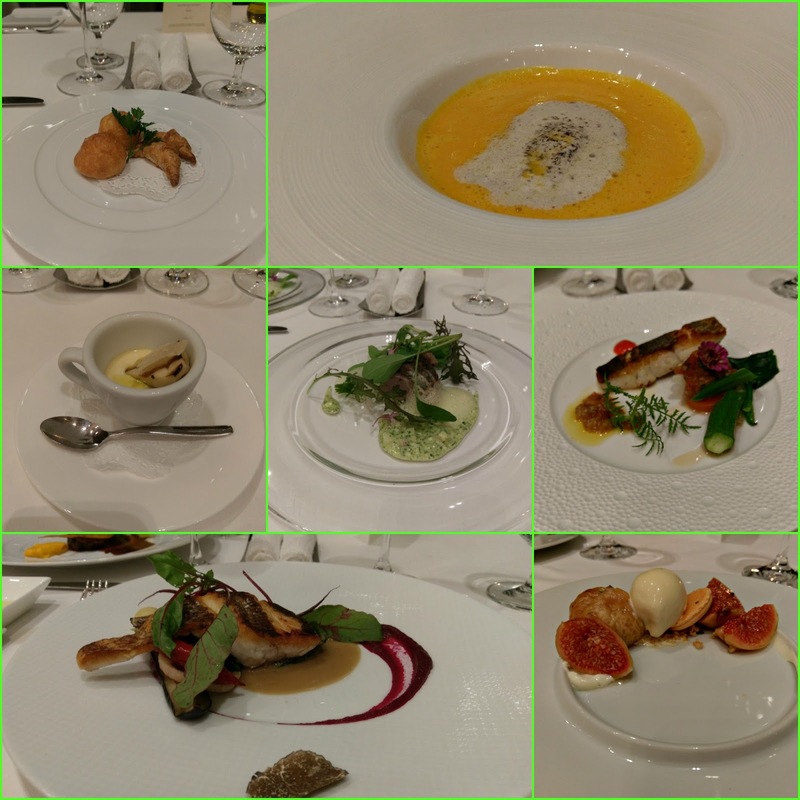 We had our last meal in Naoshima at the French restaurant at our hotel. It was SO good - we think the head chef was formerly at a Michelin-starred restaurant. From the mini cheese puffs to the butternut squash soup with truffled cream to the fresh focaccia bread with olive oil to the homemade vanilla thyme ice cream - it was all worth writing home about, hence the mention here.